The Great War. 1914-18. Flanders. Posters and Memorabilia at the launch of the National Library's World War One Family History Roadshow which takes place between 10am and 7pm on Wednesday March 21st next. Pic Steve Humphreys 15th March 2012. Belfast Telegraph. Page. Wednesday 5/8/1914 "Britain Declares War on Germany"
German troops and dogs prepared for the threat of 'chemical warefare' during the Great War, with gas masks. The return of British pow's, from the Great war, met on arrival at London by frienfs and family with refreshments. Lord Kitchener inspects the 36th Ulster Division before deployment to the Great War. British troops supply line during the Great War. Crowds in Belfast line the streets as soldiers returning from the Great War march past Belfast City Hall. British artillery on parade during the Great war. First World War soldiers were treated for venereal disease in a camp at Chiseldon, Wiltshire. Undated handout photo of the front page of the Flanders Fields Post, a newspaper inspired by the historic Wipers Times created by First World War soldiers Captain FJ Roberts and Lieutenant JH Pearson in 1916, which has been recreated to mark the centenary of the war. File photo dated 04/08/14 of the Grenadier Guards being watched by a crowd as they leave Wellington Barracks in London for active service in France at the beginning of World War I, as royalty, political leaders and families of the fallen will unite in Belgium and the UK today in marking 100 years since Britain entered the First World War. Family handout photo of Captain F. J. Roberts with his son Bill Roberts in 1914, as a newspaper inspired by the historic Wipers Times created by First World War soldiers Captain FJ Roberts and Lieutenant JH Pearson in 1916, has been recreated to mark the centenary of the war. Undated family handout photo of Captain F. J. Roberts with his division, as a newspaper inspired by the historic Wipers Times created by First World War soldiers Captain FJ Roberts and Lieutenant JH Pearson in 1916, has been recreated to mark the centenary of the war. File photo dated 17/08/14 of British soldiers from the Royal Welch Fusiliers and the Cheshire Regiment in a Belgian town on their way to Mons as part of the British Expeditionary Force, as royalty, political leaders and families of the fallen will unite in Belgium and the UK today in marking 100 years since Britain entered the First World War. Handout photo issued by London Transport Museum of Ole Bill, a 1911 B-type bus No. B43 flanked by standard bearers in the Armistice Day parade 1920 as wreaths are being laid at bus stations and garages across London in memory of the transport workers who died in the First World War. File photo dated 20/08/14 of the scene outside the Enlisting Office in Thogmorton Street, London, at the beginning of the First World War, as royalty, political leaders and families of the fallen will unite in Belgium and the UK today in marking 100 years since Britain entered the First World War. Family handout photo of Capatain FJ Roberts (right) with family (L-R) Bert, Will, Nell and Fred Roberts, (front) dad Henry and mom Mary Roberts in 1900, as a newspaper inspired by the historic Wipers Times created by First World War soldiers Captain FJ Roberts and Lieutenant JH Pearson in 1916, has been recreated to mark the centenary of the war. Family handout photo of a young Captain F. J. Roberts, as a newspaper inspired by the historic Wipers Times created by First World War soldiers Captain FJ Roberts and Lieutenant JH Pearson in 1916, has been recreated to mark the centenary of the war. The Battle of the Somme took place near the Somme River in France, and lasted from July 1, 1916, to November 18 that year. It saw the biggest loss of soldiers' lives in a single day of fighting ever recorded by the British army. The battle was between the British and French, on one side, and the German Empire, on the other, and it symbolised the horrors of the First World War. With both sides engaged in trench warfare with little movement, the British and French were organising a major attack at the Somme,determined to break the stalemate. When the Germans went on the offensive and attacked the French at the Battle of Verdun in the east of Paris, the British attack at the Somme was brought forward in the hope the Germans would move some of their men away from Verdun. At the Battle of the Somme, there was a week-long artillery bombardment of the German lines, which saw the British firing more than 1.6m shells. The reason behind all that artillery was to destroy the German trenches and to try and kill most of the German soldiers. 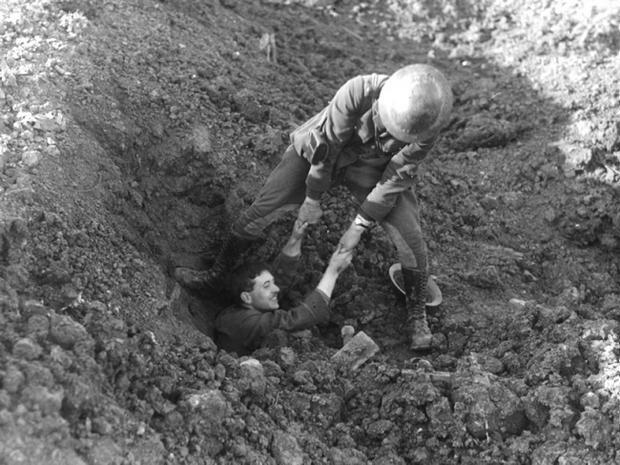 After all the firing, British and French soldiers came out of their trenches and walked towards the German lines, believing they would not face much opposition. 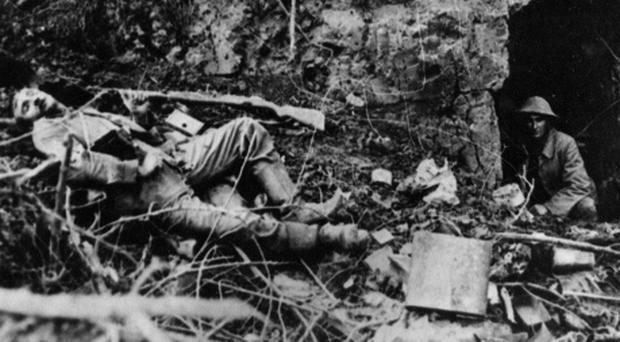 German soldiers, though, had been hiding in special shelters and had waited underground for a week until the shelling had finished, then came out to fire machine guns at the advancing Allied troops. 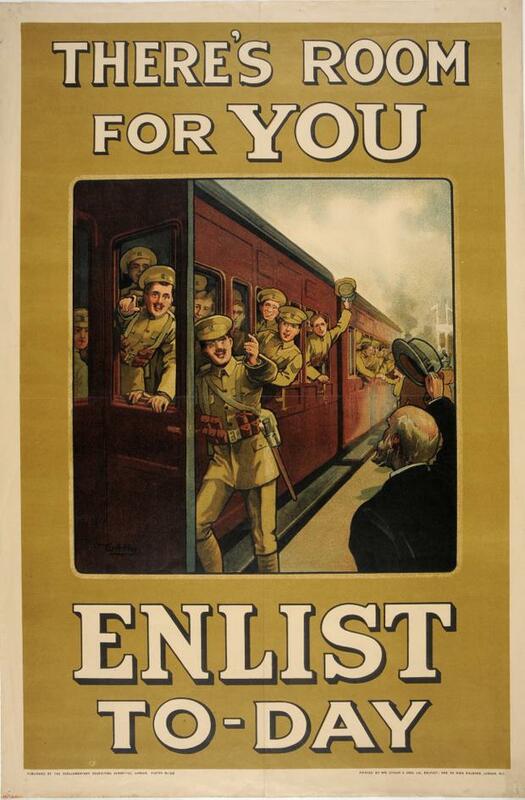 Irish, English, Scottish and Welsh soldiers were gunned down, along with French, Australians and South Africans. One of the few units to meet their objectives that day was the 36th Ulster Division, which showed remarkable bravery and sacrifice and which is forever remembered by the people of Northern Ireland. The 36th Ulster Division took a German fortification called the Schwaben Redoubt before a lack of re-enforcements forced them to retreat. The division was relieved on July 2, having suffered more than 5,000 casualties - with more than 2,000 of those killed. Several Victoria Crosses were awarded to the Ulster Division for their courage. The mainly Catholic 16th Irish Division were separated from their comrades in the 36th Ulster Division by only a few months. On September 3, another great British offensive went in. The men of the 16th Division fought with the same courage as the 36th Division. Within 10 days the division had lost half of its 11,000 men through death or injury. Two Victoria Crosses were awarded, one to a private in the Connaught Rangers and one to a young officer in the Leinsters. 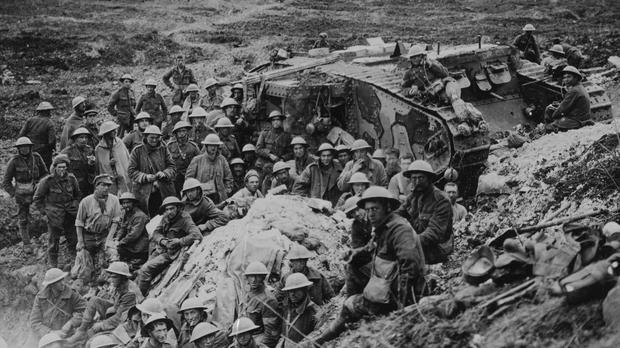 The Battle of the Somme ended with the British having advanced only five miles. It is thought the British suffered 420,000 casualties, including nearly 60,000, on the first day alone. The French lost 200,000 men and the Germans nearly 500,000.